Fashion Shows Archives - TheUrbanMusicScene.com | Concerts & Festivals! Featuring Dorinda Clark Cole, Lonnie Hunter and more! Make plans to attend the only Celebrity Fashion show coming to Las Vegas during Stellar Awards week!!! 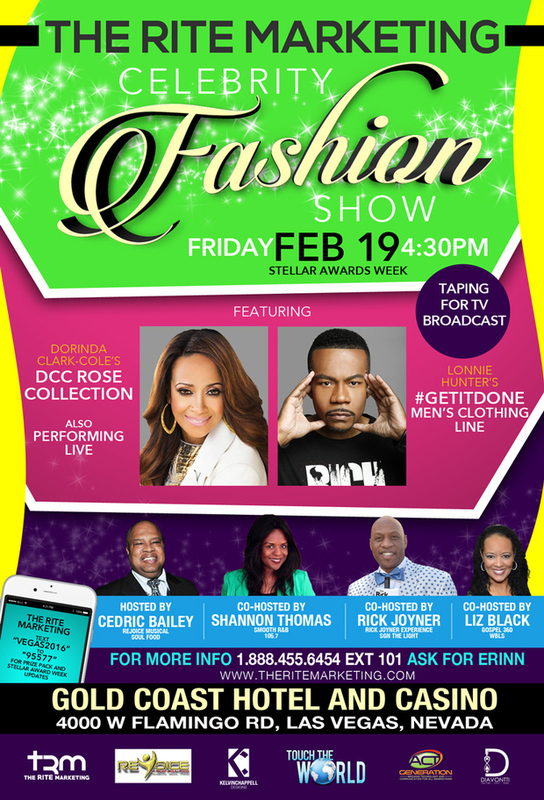 The Rite Marketing will host a star-studded fashion show featuring Dorinda Clark Cole’s DCC Rose Collection and Lonnie Hunter’s #GetItDone Men’s Clothing Line. Notes On The Red (Fashion Show) | Jan. 16th, 2010 in Nashville, TN.